Kott Gunning Lawyers Partner Laurie James AM has received a Queens Birthday honour for significant service to law in Western Australia. The 73-year-old, who still practices at the Perth firm he joined in 1963, has been a leading voice in alternative dispute resolution. Some have credited him with raising its prominence so that today it is integrated into the law process. Laurie was twice the National President of the Institute of Arbitrators and Mediators Australia (IAMA) and twice WA Chapter Chairman. Laurie is currently co-chair of the Resolution Institute (the recently amalgamated LEADR/IAMA) – the State’s leading body for alternative dispute resolution. While he has no plans to retire in the immediate future, he does hope his legacy will be the smooth transition for that organisation. He also remains a leading voice in the areas of construction and local government law, and has been recognised for his service to professional bodies. Laurie is acknowledged in the Doyles Guide as a Leading Western Australian Construction Lawyer. Laurie James AM has always had a human focus in his 52-year career at Kott Gunning Lawyers in Perth. He’s a man who has studied philosophy; an art collector who has been involved in institutional, corporate and private collections; a lawyer who has been a leader in alternative dispute resolution (ADR); and a husband and father who always maintained a strong work-life balance (even before the term existed). 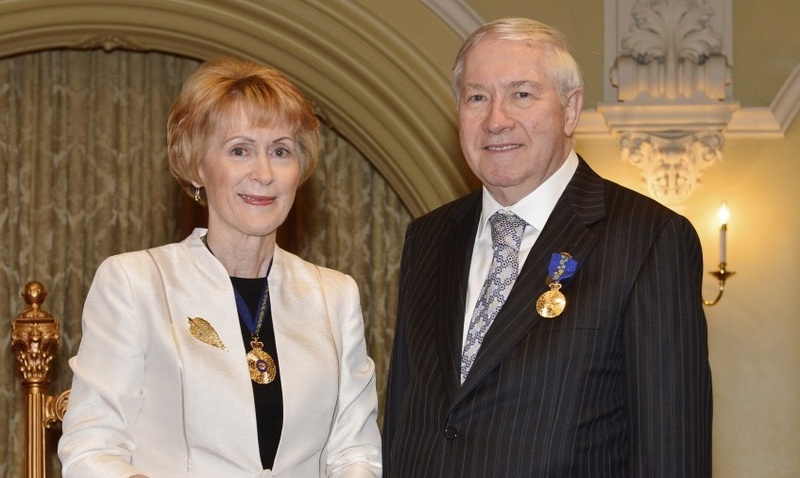 Awarded a Queens Birthday honour this year, the 73-year-old can today look back on a career that has helped shape dispute resolution in Western Australia. It’s possibly his tireless advocating for mediation from 1988 that saw it become a formal part of the legal process in Western Australia in the early 1990’s. Today, many disputes are settled via mediation, as opposed to going through the courts for a judicial decision. He has also been a strong voice behind the push to amalgamate the two leading ADR bodies in Western Australia – LEADR (Leading Edge Alternative Dispute Resolution) and IAMA (Institute of Arbitrators and Mediators Australia). After eight years, he saw his dream come to fruition. Now, as co-chair of the Resolution Institute, he states that he’d like his legacy to be a smooth transition from two independent bodies to one. Laurie started with Kott Gunning as an articled clerk in December 1963. He was admitted in 1965 and was made a partner in July 1967. He is possibly one of the oldest men of his ilk practicing law today, and plans to work into his 80s. His career was shaped into what it is today when Kott Gunning’s Bob Wallace was named his supervising partner. A strong early advocate for arbitration, it was Wallace who taught Laurie about alternatives to litigation. A strong voice for mediation since 1988, it was a proud moment when the courts used outside mediators in the WA Supreme Court August Blitz of 1993. It was so successful, the courts today have their own specialised mediation facilities – most cases go to mediation in the Supreme Court and cases are referred to mediation in the State Administrative Tribunal. “In 1988 there was a level of caution, but in 1993 they were so far behind with their trial dates in Perth that they had to do something. They gave mediation a go and it was so successful that it is now widespread. I didn’t lead that change – it was a court-based initiative. However, I like to think that over five years of trying to popularise it, I did have an impact,” says Laurie. Laurie’s career has seen him practice broadly across Commercial Law, Construction, Family Law, Workers’ Compensation and Insurance. However, increased legislation and the size of Acts saw him specialise in Construction (he’s a Member of the Construction and Infrastructure Law Committee of the Law Council of Australia and a Past National Chair and Deputy Chair for Western Australia) and Local Government. Of course, he has also specialised in ADR. Today, in addition to his roles with the Resolution Institute and the Construction and Infrastructure Law Committee, he is a Convenor of the Alternative Dispute Resolution Committee of the Law Society of Western Australia, Convenor of Western Australian Dispute Resolution (WADRA) Inc, a Member of the Australian Institute of Judicial Administration, and Western Australian Energy Disputes Arbitrator (under the Energy Arbitration and Review Act 1998 (WA)). Of course, he continues with representation in Courts and Tribunals, plus advising across Local Government, Heritage, Construction, ADR and much more. “People do come to me for advice about ADR and local government law,” he says. Throughout his demanding career, his family, art and philosophy have been a constant. When he leaves work, the office is left behind so he can concentrate on family; he set up the Kott Gunning Arts Committee as the sole official member (with his wife the unofficial member), plus was on the board of the Curtin University Art Collection and has his own extensive collection; and studied philosophy and Jurisprudence (taking out the Anita and Meyer Davis Prize for the latter at UWA). “I have never been a person who wanted to get sunk into masses of black letters. I have always wanted to ask what are we doing, where is it that we are going and why are we doing it,” he says.